The more I thought about it, the more it seemed just WRONG. The problem isn’t treading on ME…that’s territorial and isolationist. The real statement is, “Don’t tread on ANYONE.” Let people be. Let them do what they want. Let them live their lives, as long as it has no impact on you living yours. 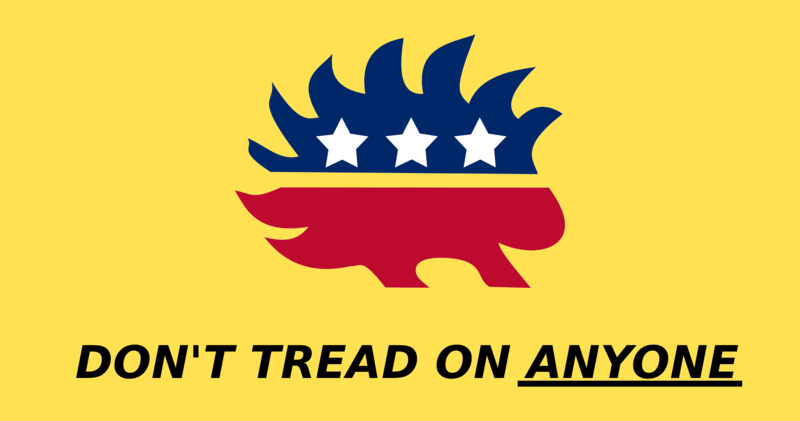 So I found an image of the Libertarian Porcupine and made this mock-up. It really makes me want to get a flagpole and fly this flag! Their voices then trail off. I think it’s because even they don’t believe what they’re saying. I think it’s because, deep down, they know that they couldn’t be more wrong.